I considered flinging an ether ball at his smug face. Sadly, I had no idea how to do that. So instead, I leaned back into the vehicle cushion. The leather sighed as it accepted my weight. “I’m the worst Ethereal ever.” The exhaustion that had chased me most of the day finally caught up. I let my eyes drift shut. “But you are an Ethereal?” Excitement rang in his voice. The smooth motion of the vehicle lulled me into something that resembled relaxation. It was hard to be completely at ease with my comm pressed against my waist. Its countdown clock ticked closer and closer to the end with each second that passed. Rey shook me so hard I thought my brain would smash into my skull. “What?” My eyes flew open and I shoved him away. “It’s not that I’m not excited.” I yawned and stretched my arms. The yawn went on longer than expected, and Rey stared at me with raised brows as he waited. He gave me a blank expression. Alicia Wright Brewster is a mild-mannered lady of average height and above average paranormal obsession. By day, she works in an office. At night she is an author, an electronics junkie, and a secret superhero. In her virtually non-existent free time, she loves to read, watch movies, and eat food. She is particularly fond of the food-eating and makes a point to perform this task at least three times per day, usually more. 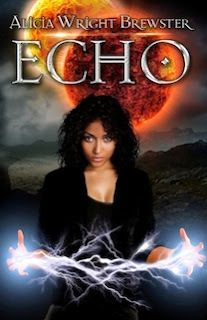 2 comments on "Echo Tour: Excerpt & Giveaway"
The end of the world scenario says must read for me. My name is Crystal, aka. Kris. I'm a book collector, puppy lover, home organizer, family girl, vegan, and essential oils enthusiast. I started this blog to share my love for books and my belief in the power of the imagination to unlock new worlds. Now, I also share hacks for time management and other things I love. 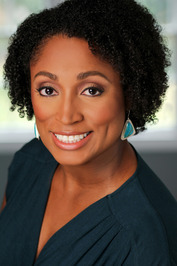 Share book reviews and ratings with Crystal (Kris), and even join a book club on Goodreads. 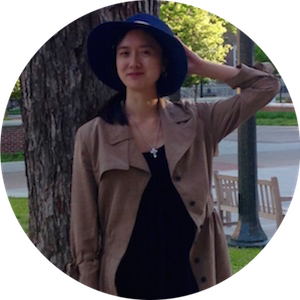 Kris started this blog in 2011 to share her love for books and the power of the imagination to unlock new worlds. The blog has since expanded to include Austin and Alice as well as movie features. Take a look around the blog. We hope you join us on our journey and that you find some new favorites along the way!